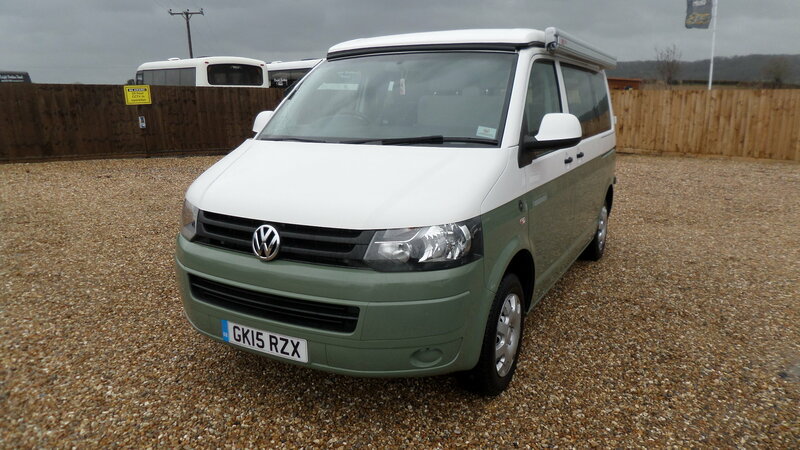 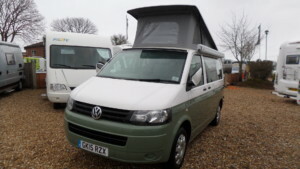 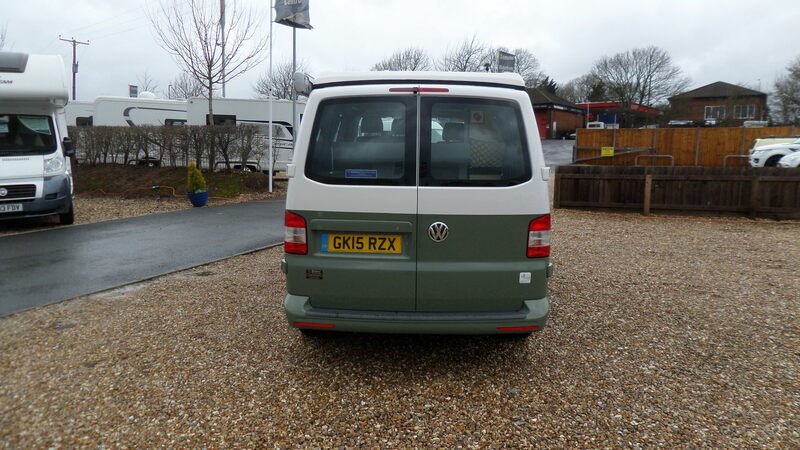 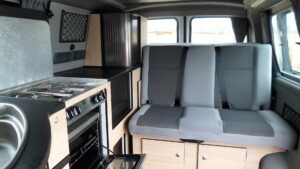 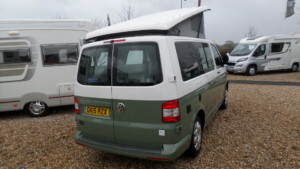 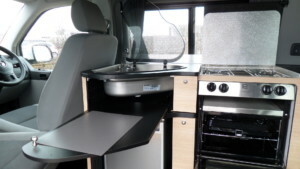 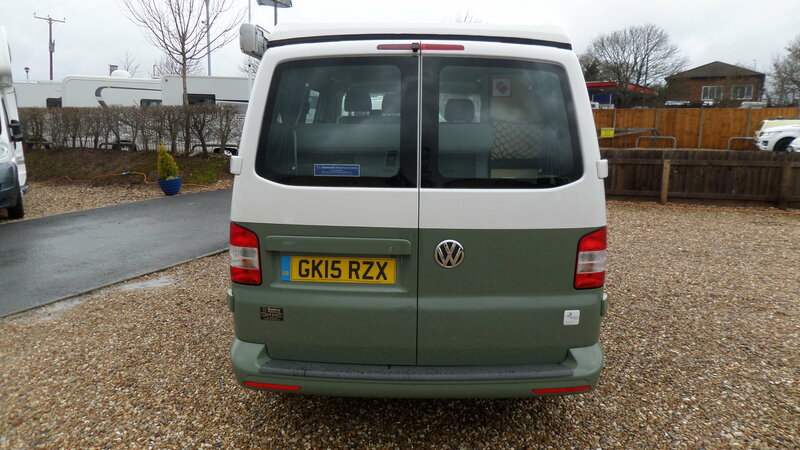 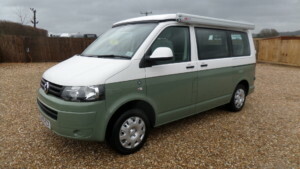 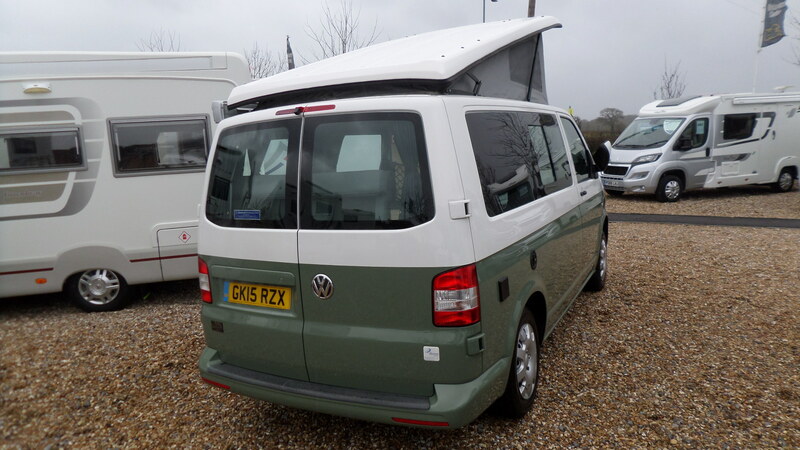 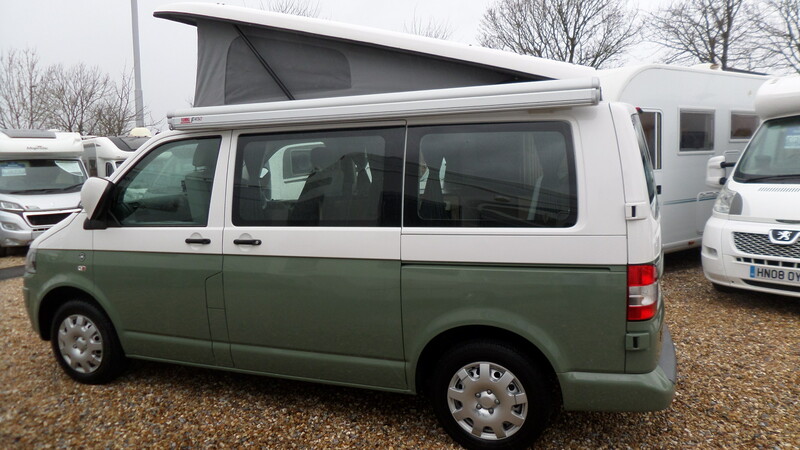 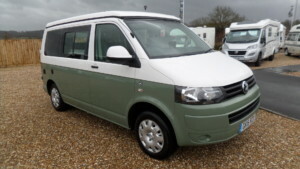 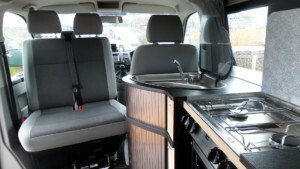 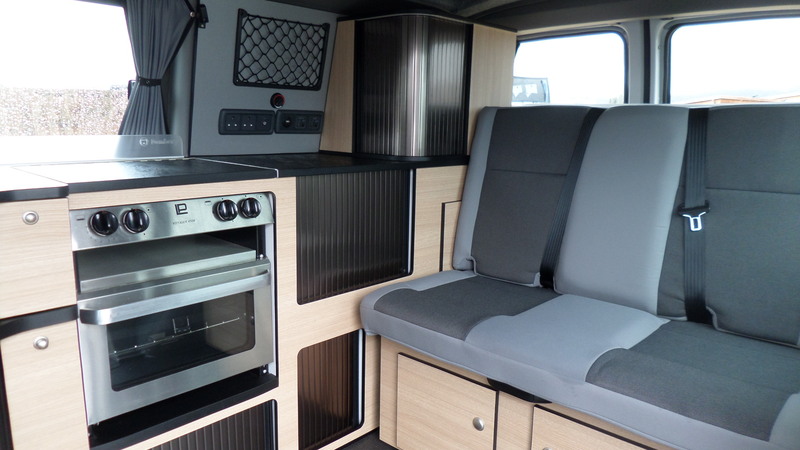 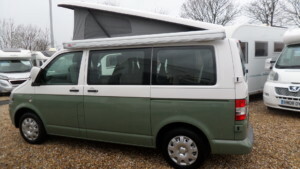 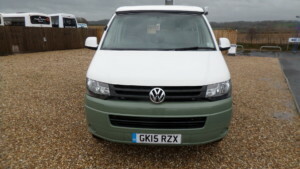 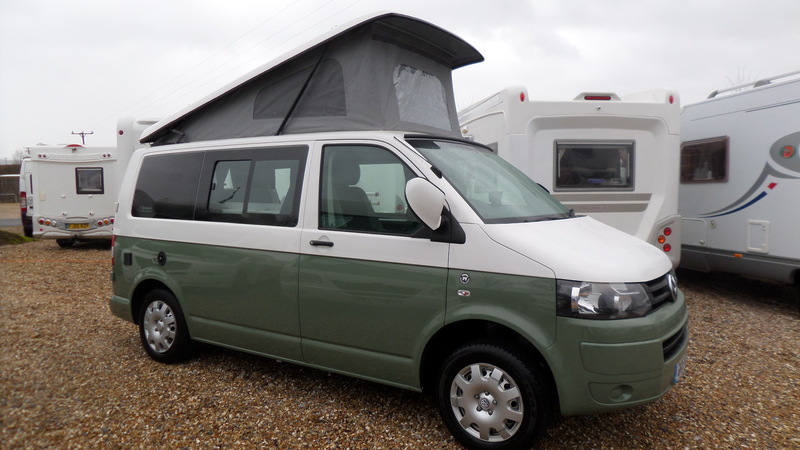 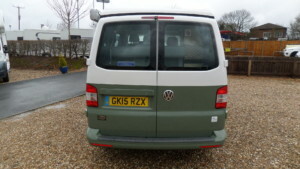 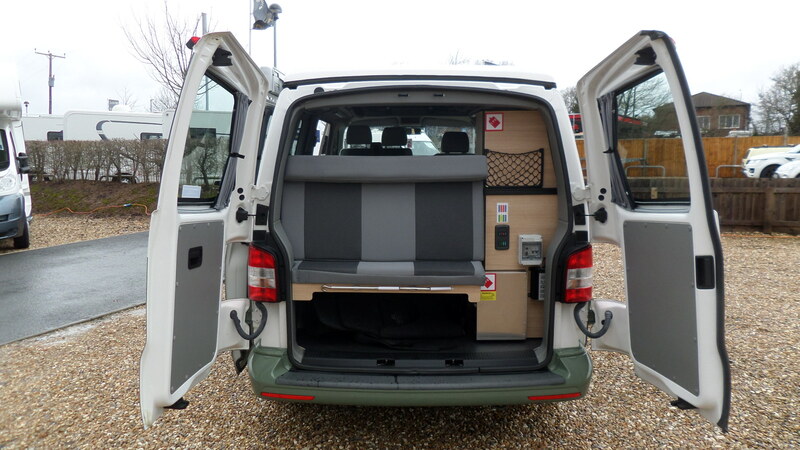 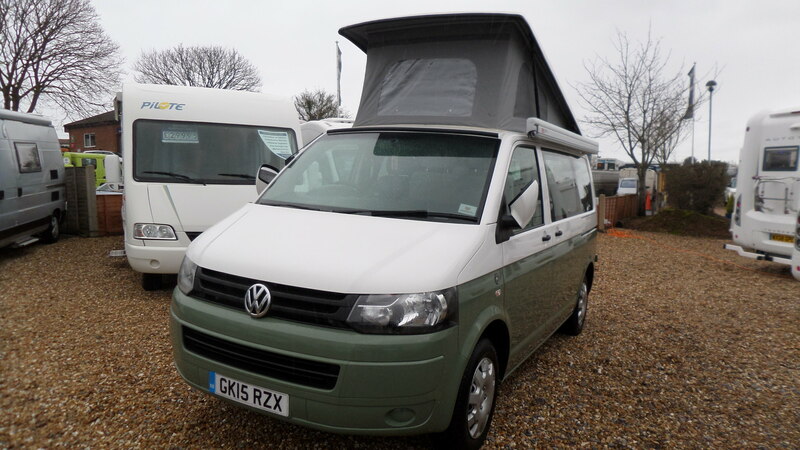 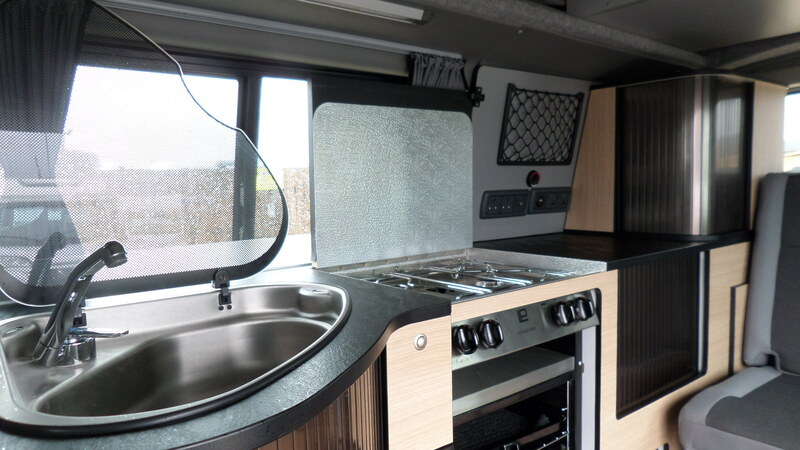 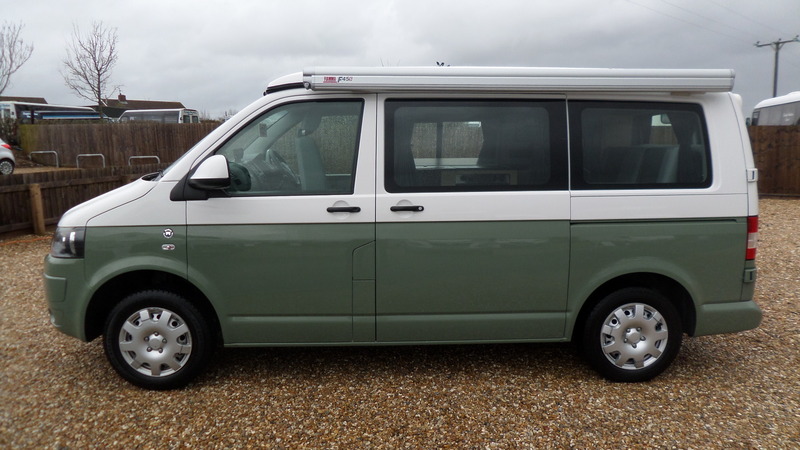 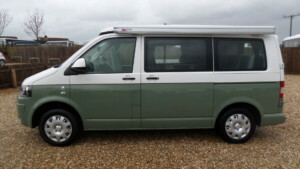 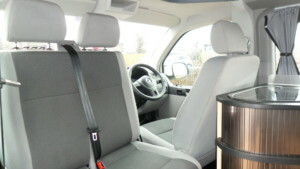 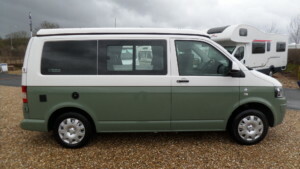 A beautiful Danbury Surf conversion that comes with the preferred 2 berth (Optional 4 berth) / 4 seat belt layout. 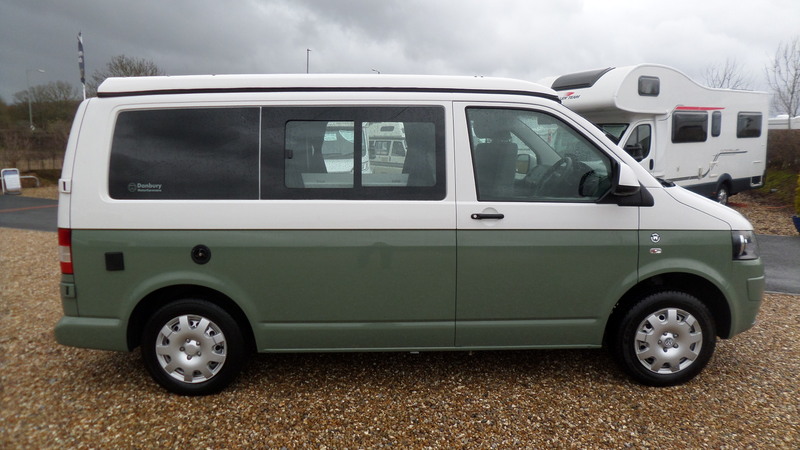 In striking two tone colours. 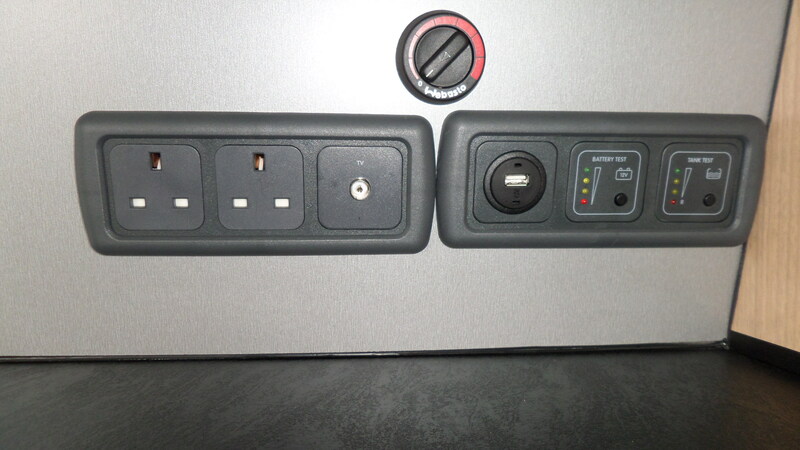 Pop top allowing for the second double over the pull forward double created from the rear seats. 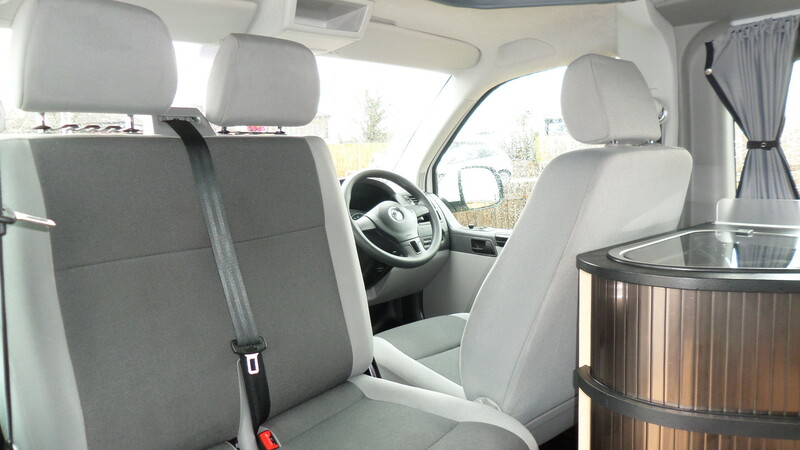 Entering the vehicle from the nearside sliding door you are faced with a curved unit (behind the drivers seat) which houses the fridge. 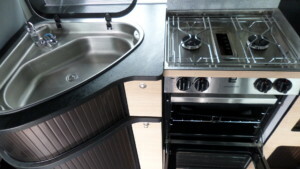 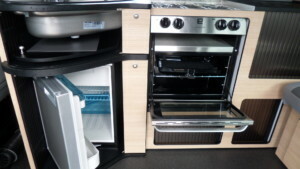 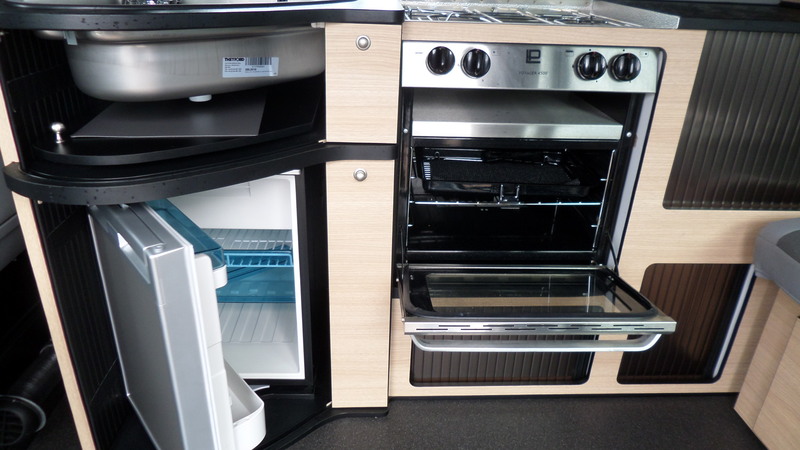 Sink above, 2 burner gas hob and oven, grill to the side. Unusually ample storage areas behind the sliding tamba doors and locker cupboards and under the rear double seat which converts into the classic “rock n roll bed” during the evenings. 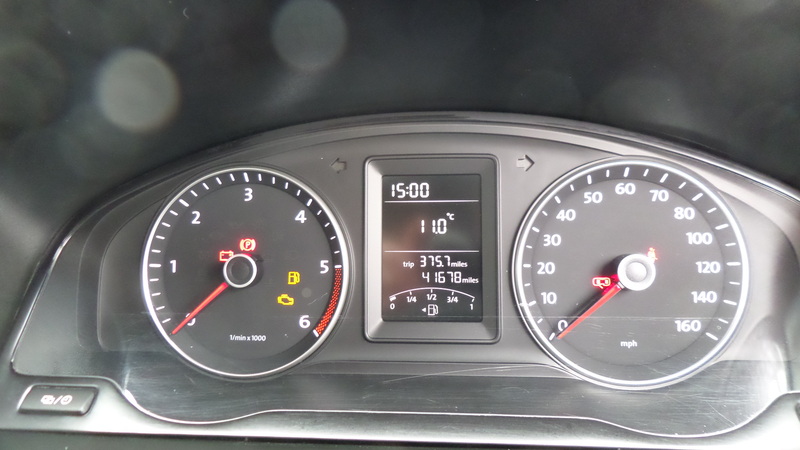 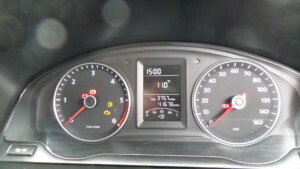 Heating is the diesel power variety. 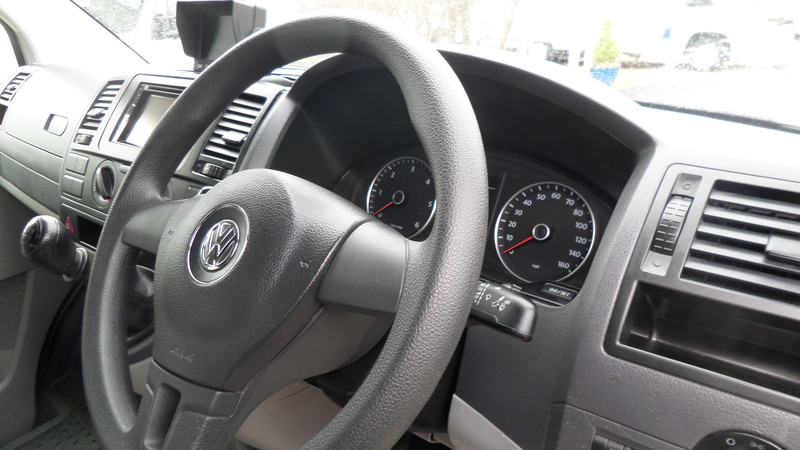 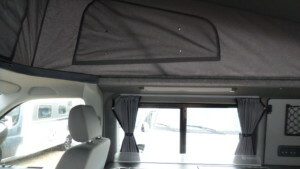 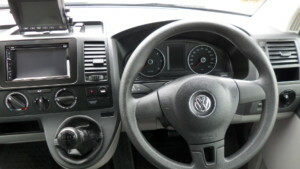 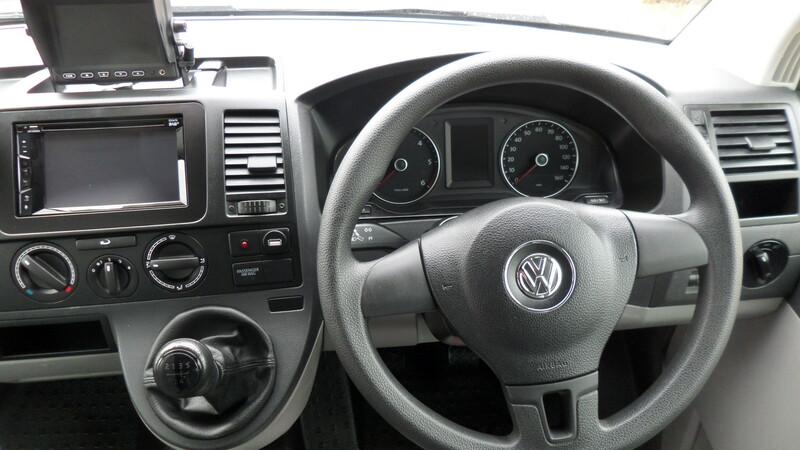 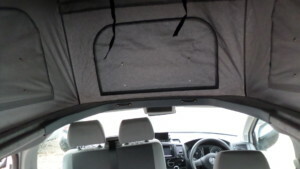 This model comes ready fitted with an awning and reversing camera.